NET Community Church believes children are a gift from God, and we are very excited that you are checking into child dedication! Child dedication is a public commitment you make before God, your church and your family. 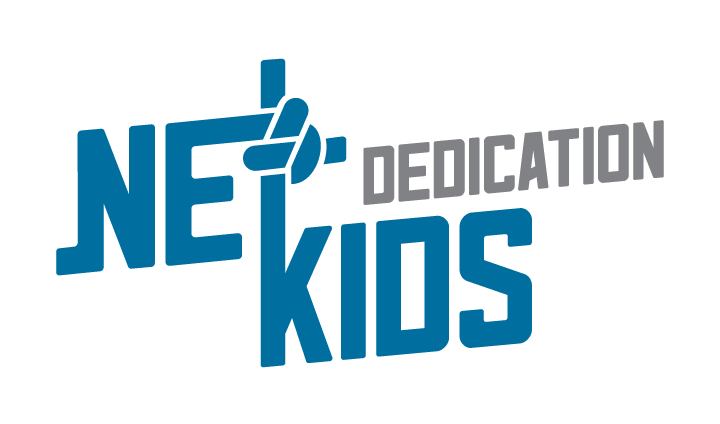 The dedication service provides you, the parent(s), an opportunity to express publicly your desire to lead and spiritually future your child in cooperation with the Holy Spirit, so your child will develop a desire to know God, love others and ultimately serve Christ. ​Listed below are frequently asked questions about child dedication. Take time to review them to find answers to any questions you may have. For unanswered questions, feel free to contact the church office: info@netcommunity.org or call (618) 635-3353. ​One key step in marking your desire to nurture your child in the ways of God is to dedicate him or her to God publically, through a child dedication ceremony. Do I need to be a NET Community Church Covenant Member to have my child dedicated? You do not need to be a member of NET Community Church to have your child dedicated in a group or public ceremony. We do encourage parents to make sure they are calling NET Community their home church. Why? In dedicating your child to God, you are stating that you are willing to partner with God and the church to raise your child in cooperation with God’s intentions. To partner with any church, a parent would be wise to decide if he or she agrees with its beliefs and vision, so they can be all-in in their partnership with the church. When you choose to become a member of NET Community Church, you are stating that you agree with our beliefs and values, and that you want NET Community Church to be your home church. We ask parents to be sure their beliefs line up with NET Community Church's Statement of Faith. We ask parents to be regular attenders of NET Community Church’s weekend services. Does NET Community Church baptize infants? Scripture provides evidence that Baptism follows an individual’s decision to trust Christ alone for salvation (Acts 2:41, 8:12, and 10:47–48). And the New Testament records the baptisms of adult believers only. ​In the Bible, we find parents bringing their children to Jesus. He held them, prayed for them, and told us to welcome them. But He did not baptize them and He did not tell anyone else to baptize them. NET Community Church believes Baptism is for those who have made a personal decision to trust Christ alone for their salvation, once they have the maturity and ability to understand what that means. Dedication is not a sacrament; nor does it impart grace or salvation to a child. Salvation comes only through faith in Jesus Christ as each person recognizes their sinfulness and receives forgiveness and eternal life through Christ and His work on the cross. Rather than baptizing infants or children, NET Community Church encourages Christian parents to dedicate their children. This is a ceremony in which parents formally call upon God’s blessing for their child and publicly commit to raise him or her in accordance with Scripture.